This past Saturday I got to plan another completely new training route. I knew that I needed to be downtown at a boat dock by 1 pm to get on a work-sponsored Lake Austin cruise and that I wanted to leave from home. 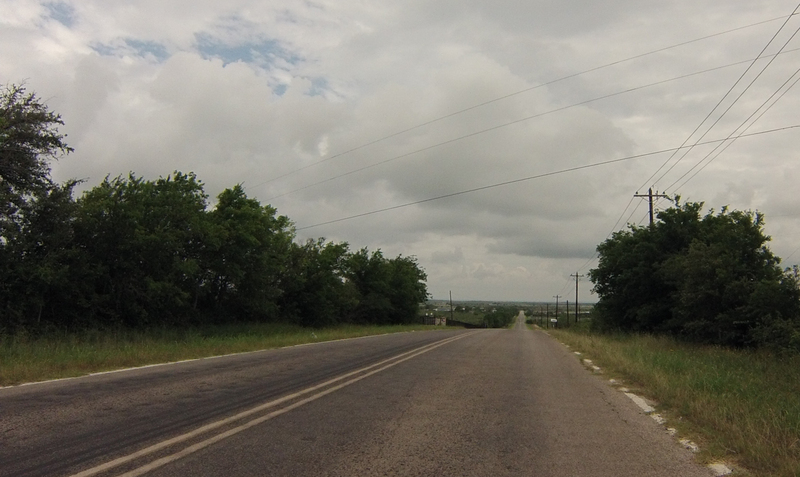 After consulting both the Campo regional bike map and the bicycle friendly roads feature on Google maps, I ended up planning an 85 mile route east and south of Austin. 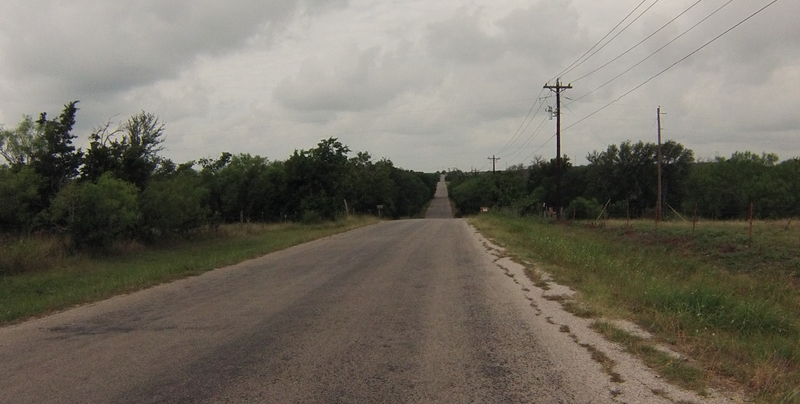 Overall it was a nice route, although rather flat and not terribly scenic. 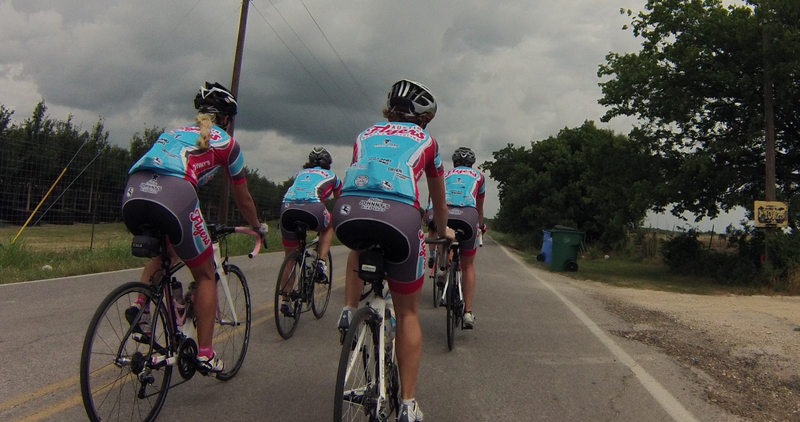 I was grateful to end up getting sucked into a group of Austin Flyers (a cycling club) about 15 miles from my destination because there were some tricky turns I probably would have missed on my own and they provided a good draft. 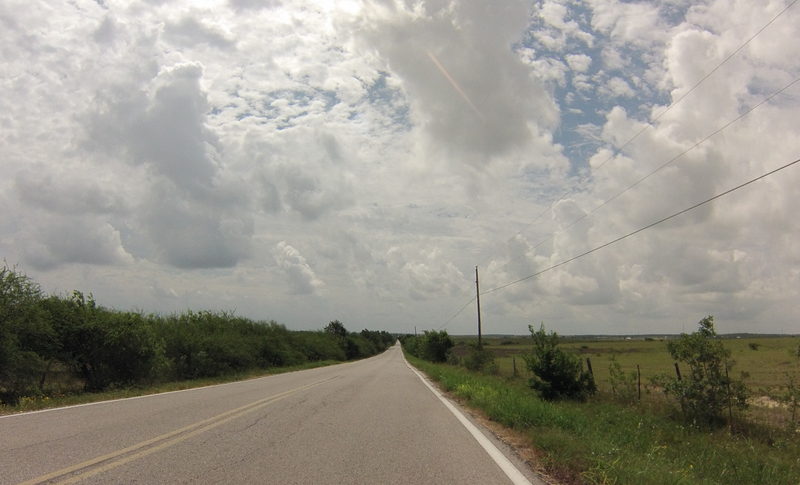 The weather was unbelievably humid, like riding in a sauna for the entire morning. Next weekend I will ride the Bike MS event Ride the Rim out in Canyon, TX. The ride is a 105 mile loop around the Palo Duro Canyon and I expect it to be awesome. I choose to fundraise for these events in honor of the many people in my life that I know that have been affected by Multiple Sclerosis. Please consider making a donation to the MS Society in support of my participation and to help the MS Society support those living with MS as well as fund valuable research so that someday (soon I hope) a cure is found. I will reward your donation with an awesome recap of my Bike MS adventure! My ride on Saturday morning started at 6:40 am. It was cloudy and super humid. 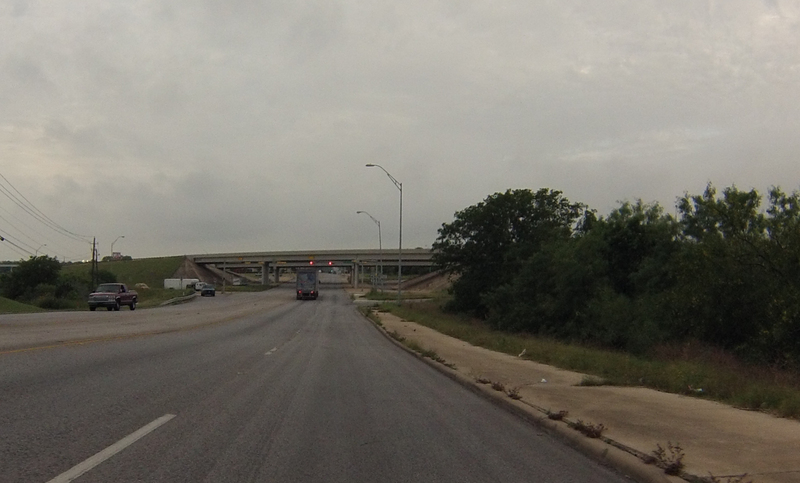 The route headed almost due east from my house and then turned south on Springdale road, crossing under route 290. 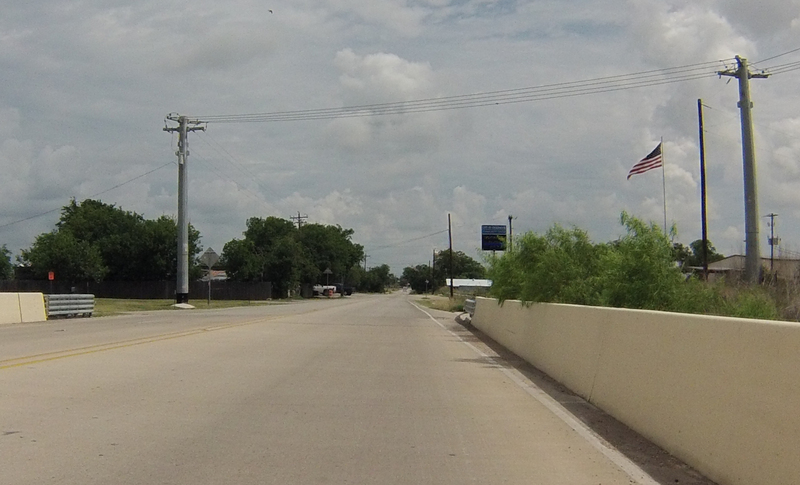 Next up was crossing route 183. Luckily it was very early so there was little traffic. Crossing MLK. 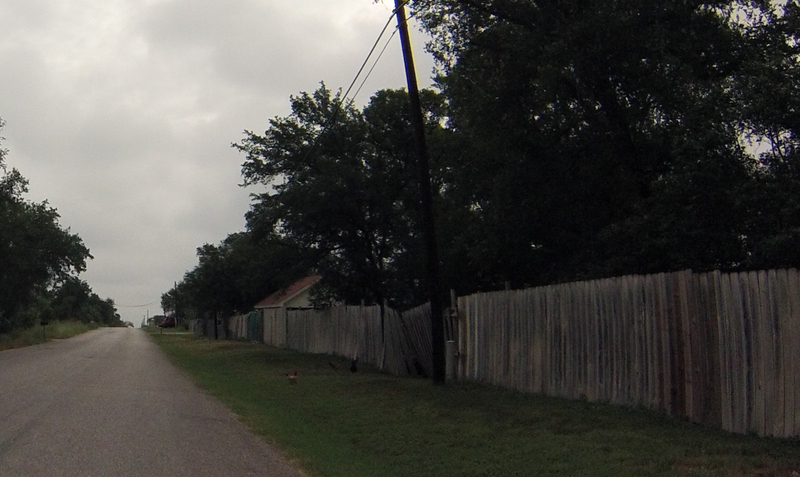 I had to stop at quite a few lights before I made it south of the river and finally got out on open road. See the follow cyclist across the intersection? 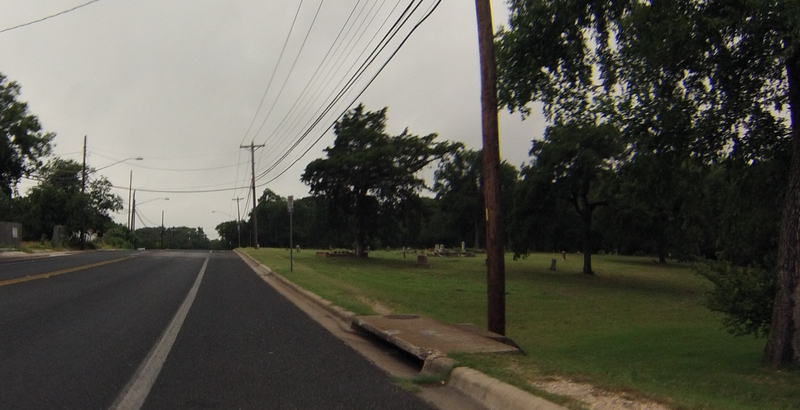 I thought Springdale road had a bike lane for its entire length but I was definitely wrong. 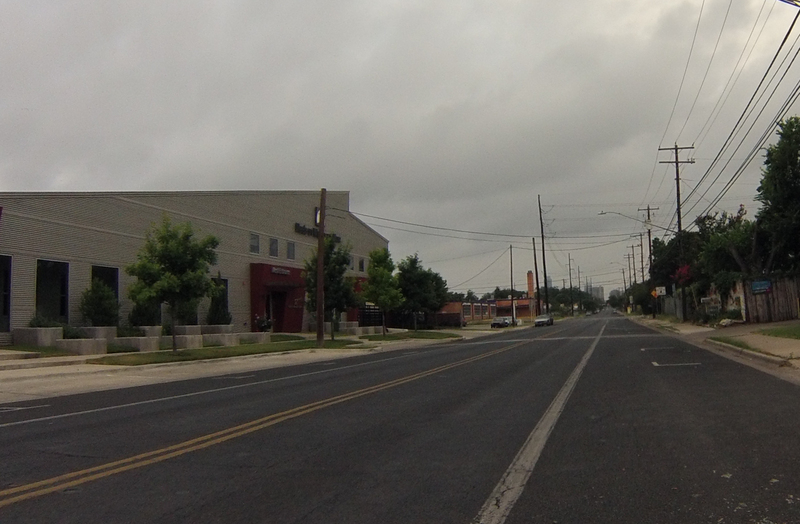 It did eventually have a bike lane, but for much of the distance I just took the right lane since there were two lanes and minimal traffic. I made a right turn onto 5th Street before crossing the river. This is the Meals on Wheels headquarters. Just about to cross the river on Pleasant Valley, you can see the river on the right. 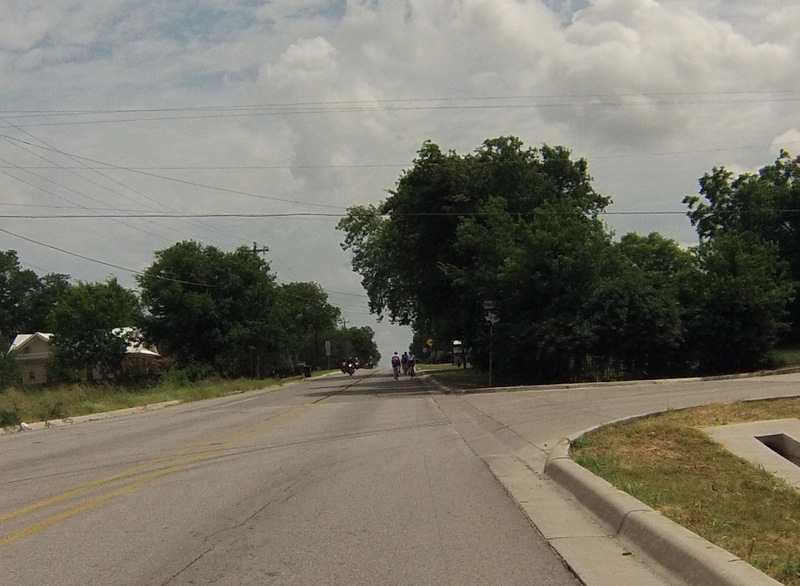 Burleson road by the airport has a nice wide bike lane PLUS a sidewalk / bike path to the right. And very little traffic on a Saturday morning. Entrance to the Circuit of the Americas race track. Chickens! What, you can’t see them? They’re in the grass. First rest stop, when I hit route 21. Route 21 had a very nice wide shoulder. And a little town called Mustang Ridge. Some sort of refinery out in the countryside. 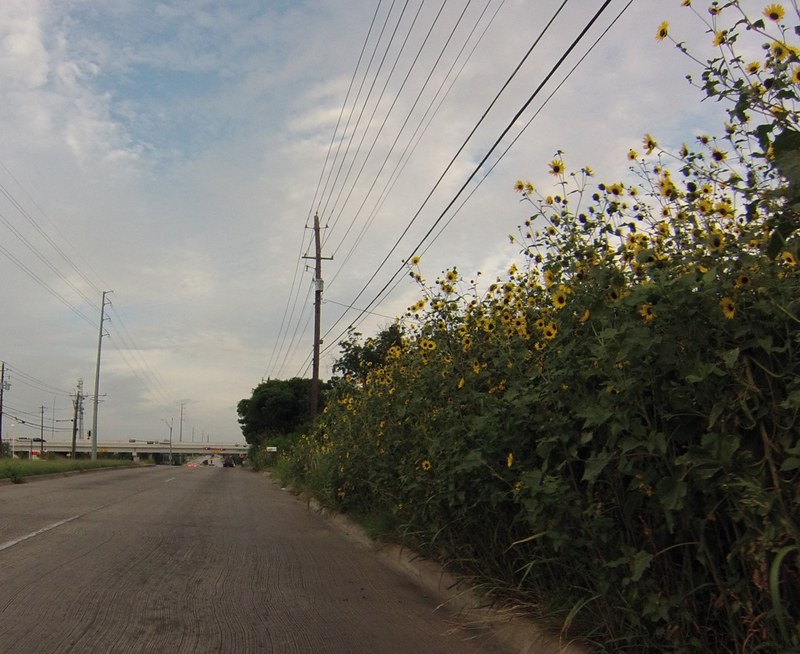 For about a quarter mile I ended up having to ride on the shoulder of the frontage road for route 130. It was pretty empty of cars, but when I planned the route the maps seemed to show I would be able to connect my route without doing this. They were wrong. A little bit of blue sky breaking through. A small lake off to the right. I sure could see forever on some parts of this ride. Small neighborhood like area way out in the country. A couple of the driveways had stone lions on pillars guarding their entrances. Second rest stop – pretty much nothing else around, and this was obviously new. Creedmoor. 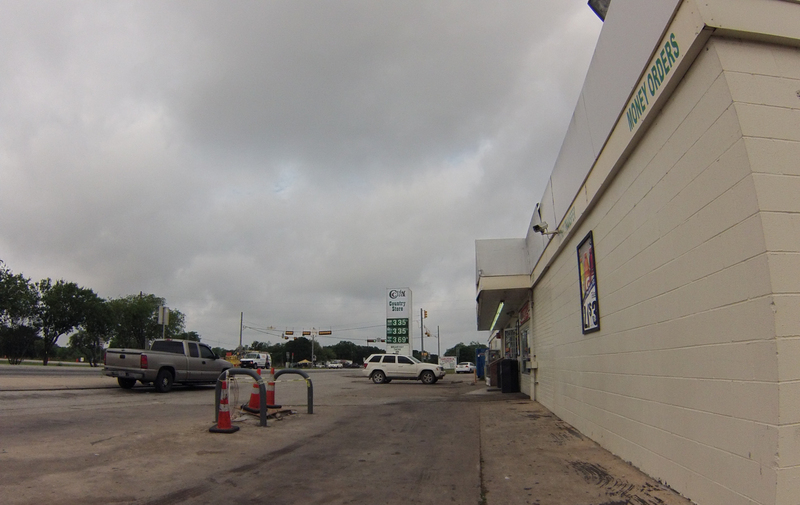 A common cycling destination for cyclists leaving from south or central Austin. 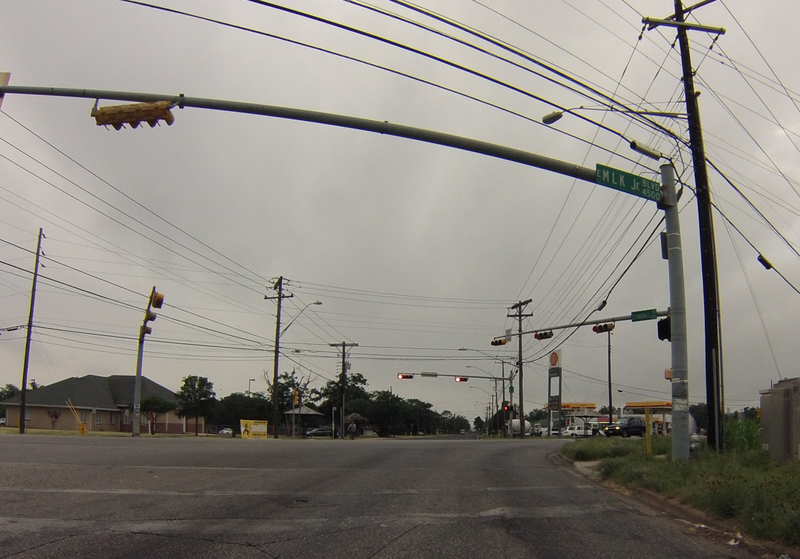 Just on the other side of Creedmoor, I ran into an Austin Flyers group ride. After initially passing them, they then passed me and I was sucked into the group. It was nice to have the draft after being on my bike 70 miles already. 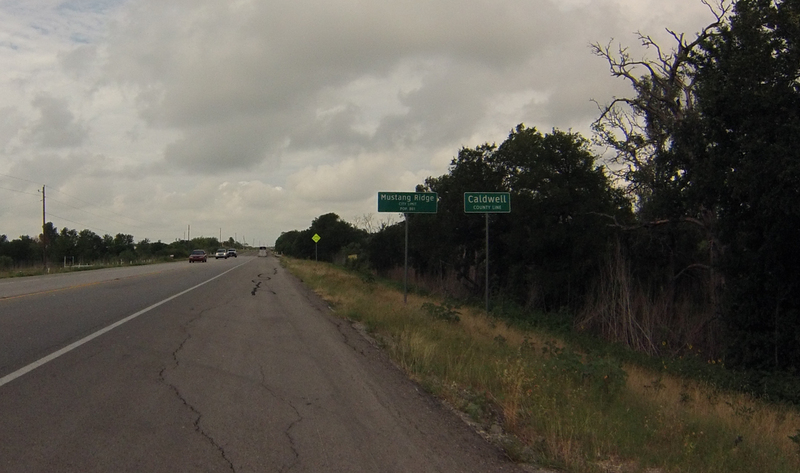 They also were going the exact same route back to Austin that I planned and helped me with some tricky turns. 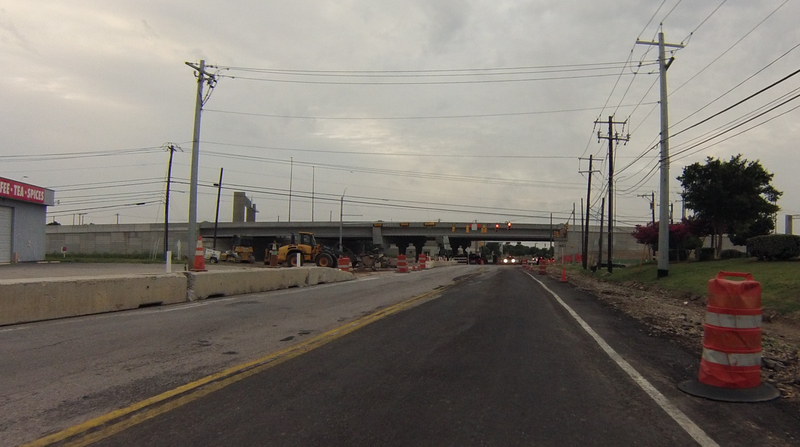 South Congress – so close to the finish! 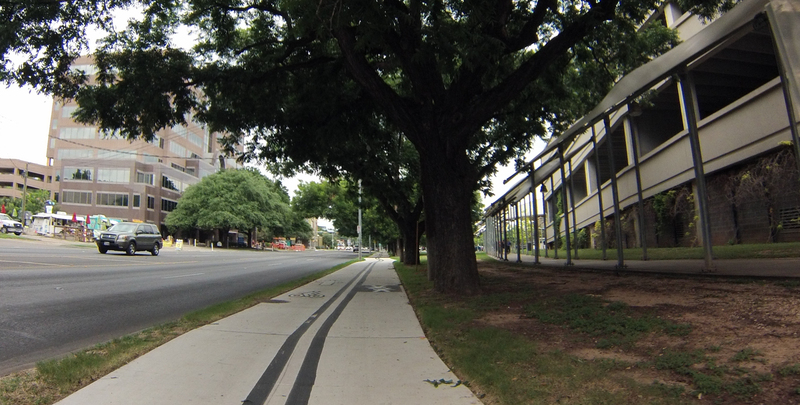 New bikeway on Barton Springs by the Palmer Events Center. 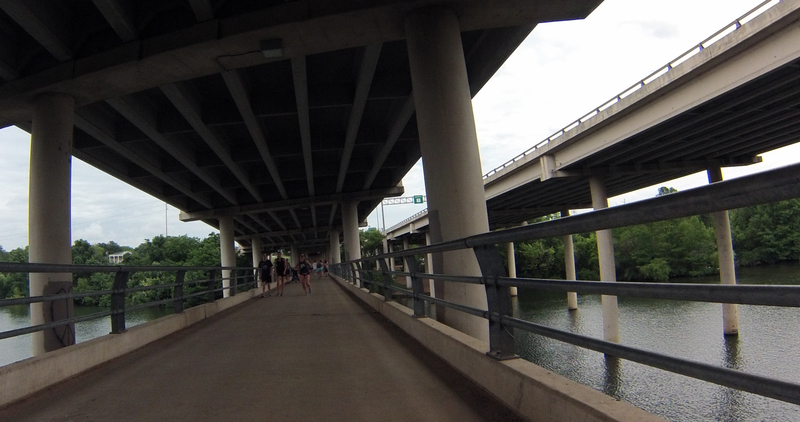 Crossing the pedestrian bridge under Mopac. 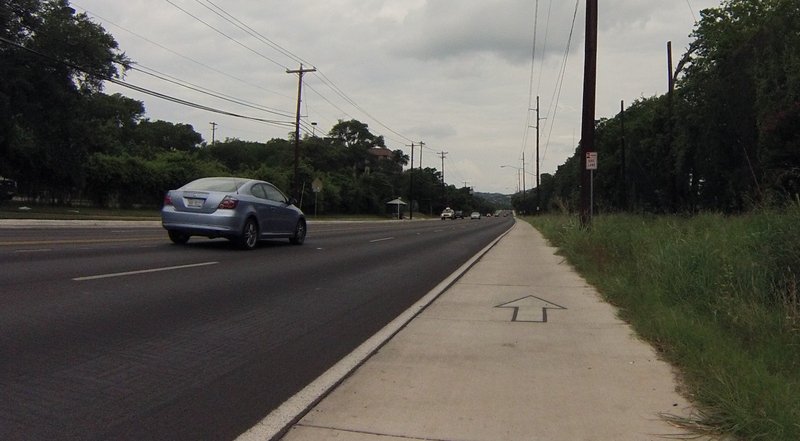 New bike lane on Lake Austin Boulevard. And that was it! After 85 miles (garmin details) I pulled up at the Marina, put my bike in my husband’s car, changed and got on the boat for our work outing. My husband and I ended up riding on a smaller boat owned by one of the partners. It was my first time out on Lake Austin on a boat. 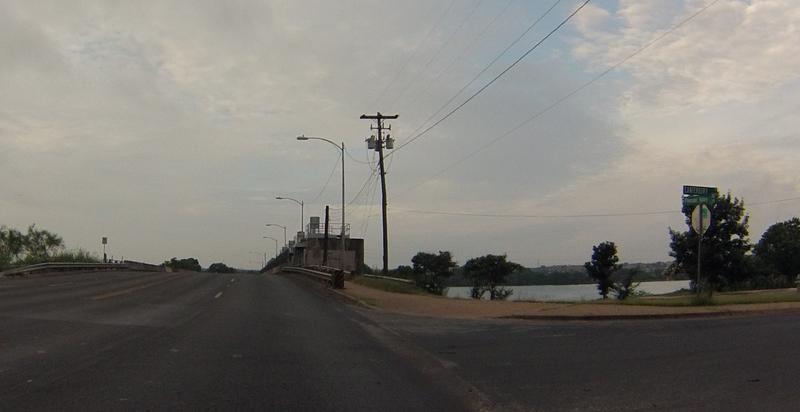 The Loop 360 Pennybacker bridge, viewed from a boat!